When I started my family, I knew that I didn't want to have my children back to back. I wanted to be able to enjoy each one's infant stage and hopefully get them out of diapers and into school before bringing another into the world. While I had prepared for what that would be like on most days, I didn't realize how exactly I was going to juggle several stages of life at once. When we welcomed our third child into our family, we already had an 11 year old and a four year old. We had football practices, pre-k concerts, as well as getting through everyday life, and now we were adding an infant's schedule to it. To say the least, I was overwhelmed and under prepared. I no longer carried a diaper bag around, I carried my entire house. I was up late one night feeding the baby when I was looking for ways to declutter my diaper bag and home. I came across an article about cleaning up your medicine cabinet and thought that was the perfect place to start. With children of all age ranges, I had to have three of everything. What my pre-teen could take my four year old and infant could not. My baby was too young to even give OTC medication to, but when he was old enough, I would have to add additional medication on top of what I already had. The article named some things I had either already tried and were unsuccessful with or things that I wasn't interested in trying. 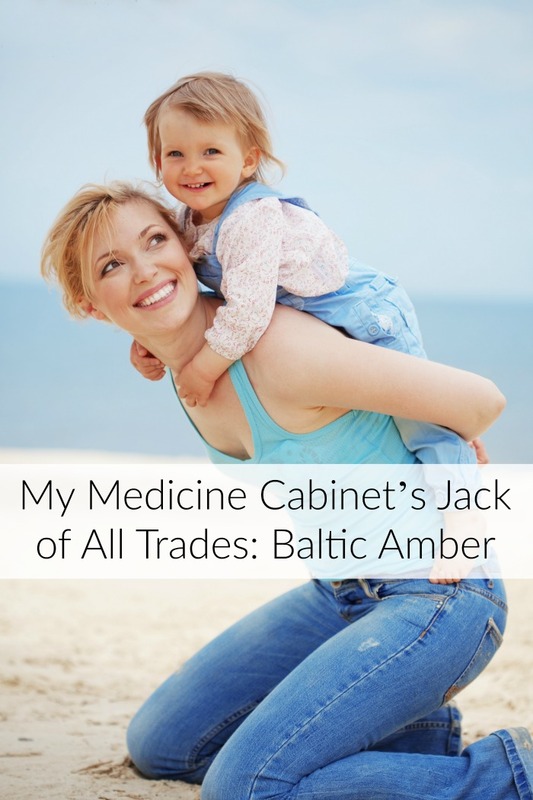 However, at the very end of the article I found a recommendation for Baltic amber teething necklaces. I did some more research and much to my surprise they were not just for teething babies like I had once assumed. In fact, Baltic amber can be used by the whole family for multiple reasons. Amber contains a substance called succinic acid, which is basically nature's anti-inflammatory. In recent years, scientist have also found that it's a potent antioxidant, making it the perfect everyday multivitamin. When amber is worn, your body will heat the bead, allowing for this succinic rich oil to seep through the beads surface and absorb into your body's bloodstream. Once absorbed, people have reported to feel it's anti-inflammatory effects almost immediately. From backaches, headaches, menstrual cramps, and everything in between-- Baltic amber makes the perfect addition to any family because of it's versatility. 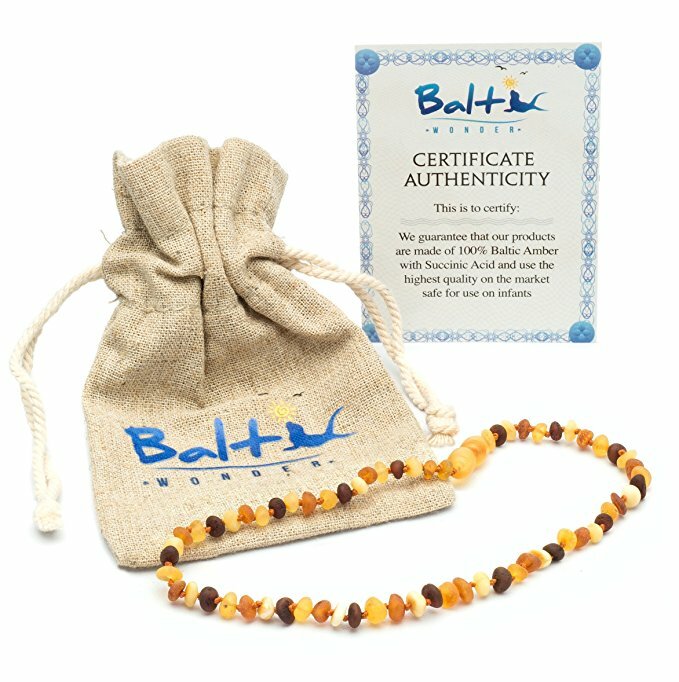 I ordered a necklace from http://BalticWonder.com/ for everyone, making sure to only purchase polished beads for the younger children. This is because the porous surface of the raw beads have been shown to cause irritation to young children's skin. Once our necklaces arrived, we put them on immediately. My eleven year old suffers from low immunity and because of that frequently gets common colds. My husband broke his back in 1989 and hasn't been able to go one day without back pain since. The rest of us are wearing our necklaces for preventative reasons and I'm hoping that we miss flu season this year! After a couple of days, I asked my husband how his back was feeling. He told me that not only has he been sleeping better than he has in decades, but he has an improved range of motion as well! I took that as a good sign and we continued to wear our necklaces. I'm happy to report that six months in, no one has had a cold and my youngest recently cut his first tooth without so much as a whimper. I am so pleased with how these necklaces have benefited not only our family, but our medicine cabinet space. My diaper bag is no longer a pharmacy and I have been able to cut medication out of our daily lives completely! If you're wondering what amber can do for you and your family, order a necklace today and see the magic of Baltic amber! I have heard of the benefits of this amber. I do believe some oil and such can alleviate pains and boost immunity.